Buy now to refresh your bedding - Sleep in style. A great price for a goose feather and down box pillow with exceptional value. 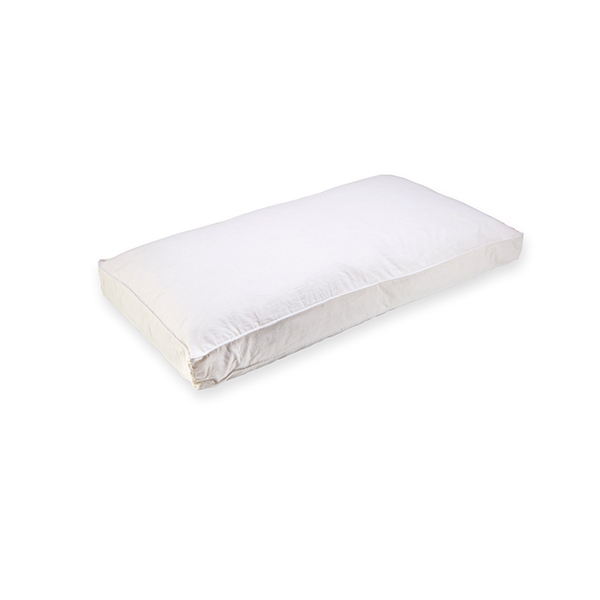 At 6.5cm this is a luxuriously deep goose feather and down pillow in a 100% Cotton Cambric 233 thread count cover. With the Box Pillow this offers even more luxury than the original goose feather and Down pillows. Great for back and side sleepers providing medium/firm support, the structure of the pillow and the filling allows it to mould to your head and neck. Natural duvets offer greater comfort through their superior breathability. The useful lifespan of natural fillings tends to be longer than synthetic ones. Goose down clusters are larger than those of duck, achieving greater warmth for the same weight of filling. Down clusters lie closer to the body of the bird than feathers. Down has no quill and is therefore lighter, warmer and softer. 6.5cm deep side walls to help provide optimum comfort and support for the head and neck.